I love quinoa. It is a gluten free whole grain with a wonderful texture. 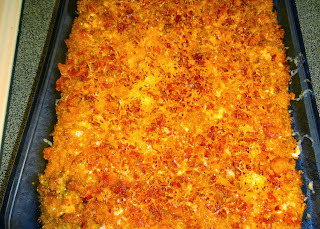 This casserole is perfect for any potluck. It is easy to make, and a great get well gift for a sick friend. In a medium sized saucepan, cook the bacon over medium heat. I usually cut the strips in thirds and cook the bacon, stirring often, until it is crisp. This takes about twenty minutes. 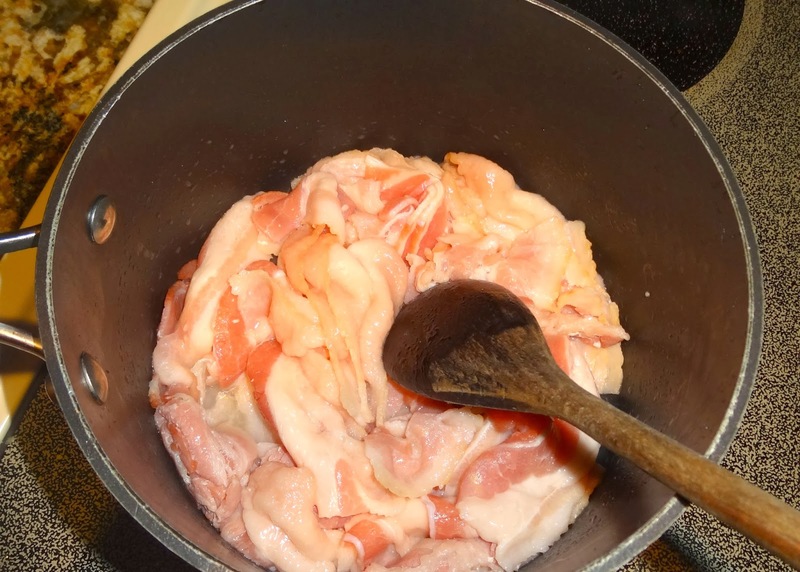 Remove the bacon from the pan when it is cooked and put it on paper towels to drain. 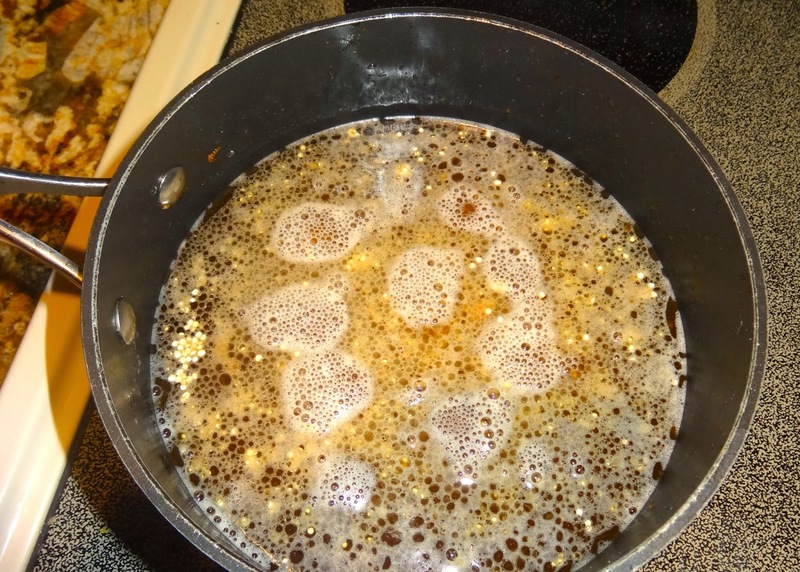 Reserve the bacon grease in the pan and add the quinoa and beef broth. Heat the quinoa on high until it comes to a boil. Turn the heat to low and cover the saucepan with a lid. 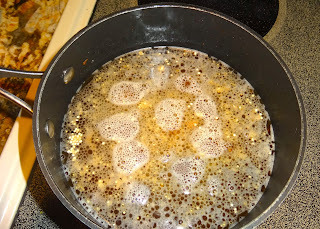 Cook the quinoa until all of the broth is absorbed, about twenty minutes. In a large bowl combine the rest of the ingredients. Finely chop the bacon and set it aside. When the quinoa is cooked, add it to the bowl with the rest of the ingredients and stir well. 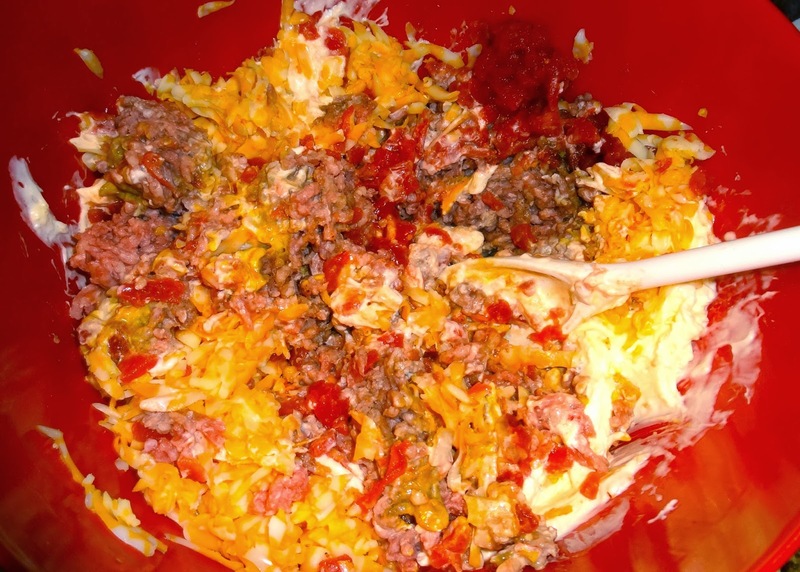 Transfer the mixture to two medium sized baking dishes and bake at 350 degrees for one hour. Top with the chopped bacon. 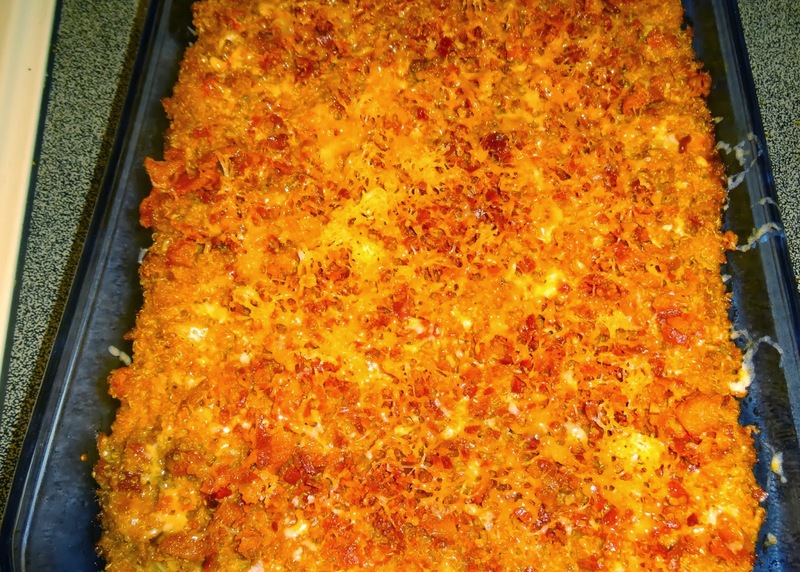 This recipe makes a lot of casserole. You will have one casserole to enjoy and one to share.